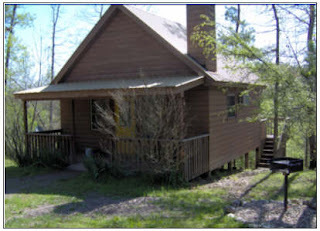 Arkansas Cabins - There are many cabins to choose from in the beautiful state of Arkansas. A new favorite of ours is RiverView Cabins and Canoes located just east of Mena in the town of Oden. There are twelve cabins surrounded by over one hundred acres of wooded, hilly property located along the Ouachita River. The property is very nicely kept and the staff is very helpful and friendly. The cabins range from extra small to large. Many of them have sleeping lofts and decks equipped with hot tubs. There is even a bunkhouse that sleeps sixty people to accommodate large groups.